Please feel free to contact us via email with any questions. We look forward to hearing from you. 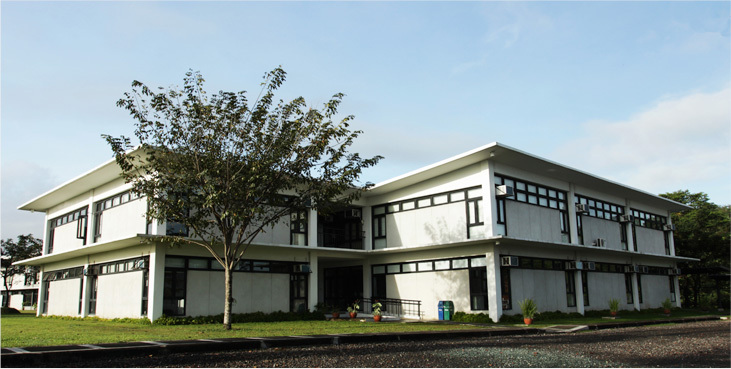 Our campus is located on a lush nine-hectare property in Biñan, Laguna. It is about 45 minutes away from Makati. Please note that vehicles without Ayala Westgrove stickers must take the Sta. 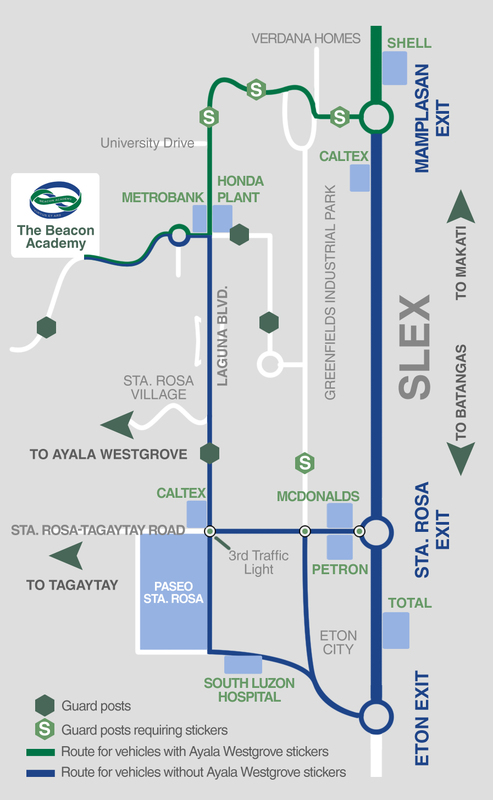 Rosa Exit or Eton Exit, and pass through Laguna Blvd. to reach the Academy. Enter South Luzon Expressway towards Batangas. Exit at Sta. Rosa or Eton. After toll gates, turn RIGHT (Sta.Rosa-Tagaytay Road). Drive straight until you reach the third traffic light (near Caltex gas station; Paseo de Sta. Rosa is ahead on the left side), and turn RIGHT on Laguna Blvd. Drive straight for about 2kms. past Don Bosco Church and Don Bosco School to your left. At the corner where the Honda plant is, turn LEFT to Laguna Technopark Annex. Follow Ayala Westgrove signs, drive past Metrobank, Avida Shops, and Binan Barangay Hall until you get to a round-about. Halfway through the roundabout, take a RIGHT exit to a road that will take you to The Academy. Please call us if you require further instructions.